The news that Russia was going to sell Iran advanced S-300 surface to air missiles at the beginning of the week, raised the stakes for the ongoing crisis in the Middle East. In essence, it ends the international arms embargo against Iran and underlines the failure of the United States in trying to manage the deteriorating situation in the region. The news also in reality sets a deadline for Israel, to launch a preemptive strike against the nuclear installations in Iran. It deals the entire region a further blow, for future investment and increased economic activity. Israel has attacked what is left of Syrian military sites on several occasions this year, to prevent the installation of Russian military hardware, that would provide the embattled Assad regime with air defense and anti-ship systems. 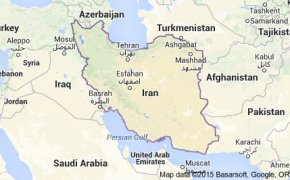 The Israelis government is now facing two different deadlines concerning Iran. One is the point where the Iranians are in imminent possession of a nuclear bomb. The other is when it no longer feasible, to launch a military assault against Iran. The country at present is quite open to airstrikes because of weak defensive capabilities. The acquisition of the Russian defensive military hardware, will change that equation substantially. The action by Russia totally undermines the position of both Israel and the United States. 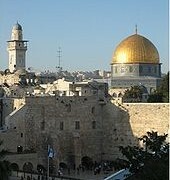 The Israelis are now faced with the option of striking Iran almost immediately or as the new weaponry is being installed. They could possibly strike against the arms themselves, as they are being delivered. It is backing Israel into a corner. The present animosity between the Prime Minster of Israel and the President of the United States, could not come at a worse time. It is not quite certain that Israel on its own, can effectively destroy the nuclear facilities of Iran. If Israel launches an aerial attack, it must be able to completely demolish all of the present installations involved in the Iranian nuclear program. The Russian sale of the defensive missiles, exposes the total failure of the foreign policy of the United States in attempting to prevent a nuclear breakout in Iran. It is a partial dismantling of the American led P5+1 process, that President Putin of Russia is now challenging. The United States along with the other permanent members of the United Nations Security Council which includes China, France, Russia, and the United Kingdom in addition to Germany, were going to offer a number of concessions, in order to slow down the Iranian nuclear program. The United States government has insisted that if the negotiations with Iran would fail or worse yet, if a agreement was reached but the Iranians cheated, that sanctions could be reapplied or the threat of an attack was still on the table. The Russian sale of defensive missiles makes that option far less credible and much more problematic in viability. Iran will be far less inclined to acquiescence to international demands, when they can now observe the consensus among the nuclear negotiators unraveling. One can only assume that the United States has been willing to allow Russia flexibility in other areas of interest, in exchange for their cooperation with Iran. It is now quite evident that this entire premise has been a failure. The reset in relations between the United States and Russia during the first Obama administration, has proved to be a foreign policy disaster. 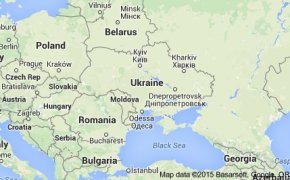 The Russians continue to widen the war in Ukraine, disregarding earlier commitments. The forcible annexation of Crimea last year, is rarely even mentioned in international diplomatic circles anymore. Russia continues to project military strength throughout the region. The provocative Russian air sorties in the Baltic, have made NATO (North Atlantic Treaty Organization) and domestic air forces scramble to meet the new challenge. Already in March, the Russians announced the beginning of military exercises involving 45,000 troops, their air force and submarines. It was one of the largest shows of strength in years. 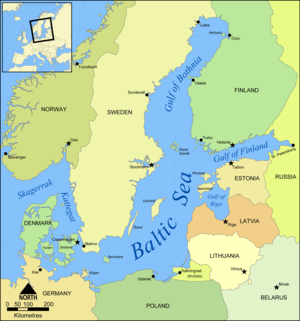 Civilian flights in the Baltic were vulnerable, because there was little coordination between the Russian maneuvers and air traffic controllers in northern Europe. Russia has gone further by increasing submarine activity in the Baltic and even in the English channel. It has unnerved a number of nations about what will come next. Sweden and Finland are both increasing their military cooperation with the Western military alliance of NATO. An election in Finland will be decided this weekend, on whether the country should remain nonaligned or begin the process of joining NATO. The issue has also spilled over into Swedish politics as well. 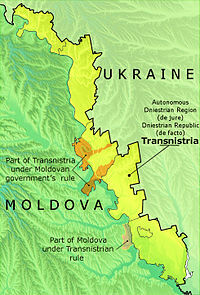 Russian troop movements earlier in the month in Trans-Dniester, the breakaway region in the south of Moldova, have also created increased apprehension about further military incursions in the area. As it looks more likely that Iran will become a nuclear power regardless of the present negotiations, it leaves the oil rich Arab Gulf States in a precarious situation. Iran already through proxies, has a great deal of influence and control over the nations of Lebanon, Syria, Iraq and Yemen. Acquiring nuclear capability will only increase the power and prestige of Iran. It will go a long way in ensuring that Iran will be able to create a local hegemony, as the United States and the West seem to be withdrawing from the region. 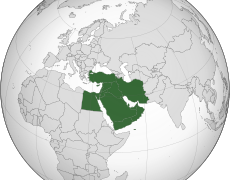 The monarchies of these vulnerable states have restive Shia populations to contend with, as well as the rising threats of terrorism from various factions including Al Qaeda and ISIL (Islamic State of Iraq and the Levant). ISIL for example, continues to make gains in the Anbar province of Iraq, which shares a border with Saudi Arabia. These countries will soon have only three options available to them as the power of Iran continues its accession. The first is to ask the United States to create a nuclear umbrella, much like what exists with Japan or Western Europe (NATO). 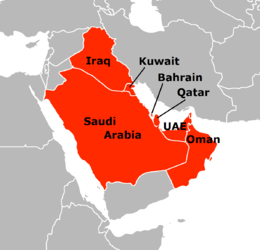 The idea is a defensive alliance that if one of the Gulf States is attacked, it is an attack on all of them. The question here is whether these countries would have the confidence in the promises of the United States government at this juncture in history. There is also the problem of creating a defensive treaty that would be acceptable to the Senate, now under Republican control and in opposition to the Administration of President Obama. That is assuming that President Obama would even make such an offer, which at this point seems unlikely. The second option is to simply accept expanding Iranian influence and become non-aligned. The leadership in these countries and in neighboring Jordan and Egypt, are simply confounded that the United States government refuses to insist on linkage in the present negotiations with Iran. That an agreement would be reached that will end economic sanctions, but still allow Iran to continue to sponsor terrorism that is undermining the stability of the entire region, is baffling to these rulers. In response to the circumstances, perhaps reaching an accommodation with Iran, might seem to be the best course of action. The problem here is that Iran may well be unwilling to leave these countries alone. It is no secret one of the goals of the Iranian government, is to topple the monarchies in Saudi Arabia and its neighbors. 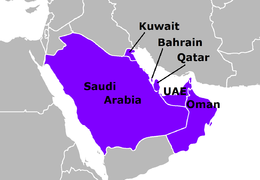 The Persian Gulf’s Coastline Skirts Seven Arab Countries On Its Western Shores And Iran To The East. The third option and the most likely one, given the present political conditions of the Arab states still outside the control of Iran, is to rush development of their own nuclear programs. This would be an attempt to negate the present military advantage that Iran has in the region, that will only be enhanced with nuclear capability. Nuclear proliferation in the Middle East which is one of the most dangerous and unstable regions in the world, would be an absolute catastrophe. The reason being that the likelihood of atomic weapons being used even in a strategic manner, is far higher here than in any other area of the world, with the possible exception of maybe India and Pakistan. A nuclear exchange even a limited one, will be a calamity not only locally but worldwide, as the impact of radiation and the resulting fallout spreads around the world. The spread of nuclear technology would be an almost complete collapse of American influence and power in the region. It would not only make a mockery of the American supported Non-Proliferation Treaty for nuclear weapons, but would also indicate that the former allies of the United States no longer have any confidence in western assurances of military support and security. Many of these countries are secretly hopeful that Israel may yet decide to strike against Iran, before the country goes nuclear and acquires additional defensive capability. As much as the United States is attempting to constrain Israel from this action, there is no doubt that the present position of the Americans is becoming untenable in the region. The Prime Minster of Israel may wish to wait for a new American President to make a move against Iran, but time is not on his side. The Russians and the Iranians are also aware of how long they have to push their present advantage. They both fully understand that after January of 2017, there will be a dramatic change in policy coming from the United States with a new American President in power. There is no doubt that as the contagion of disorder and violence spreads to additional countries in the Middle East, investors will be disengaging from the region. This investment is vital as a way to provide economic development, to these emerging nations. Growth would provide greater opportunity and jobs for the increasingly restive and discouraged youth of these volatile nations. It would hinder the recruitment of these individuals for terrorist activity, not only in the Middle East but elsewhere as well. 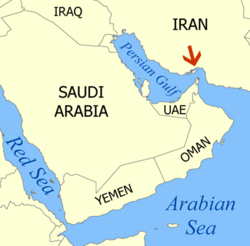 The Strait of Hormuz (Red Arrow) Connects The Arabian Sea And Persian Gulf. The spreading morass continues to threaten the flow of oil coming through the Persian Gulf, particularly at the strategic Strait of Hormuz where the waterway narrows considerably. It is here where the massive international oil tankers are most vulnerable. Any interruption to the flow of oil would have catastrophic implications to the world economy. It would necessitate American military intervention in combination with other Western powers, to safeguard the 35% of the global oil supply that comes through this vital waterway. One thing is for certain, the growing mire in the Middle East is about to become more dangerous and unpredictable. Despite the present American reluctance to avoid the introduction of American troops, there might be critical situations where it becomes a necessity. Any additional threat to the regions oil supply would provide such a condition. It is true that the Arab states are finally stepping forward to safeguard their own security and well being, but it is totally unclear whether individually or in concert, that they will have the ability to quell the rising tide of war. Previous Post → Nigeria: Will The Changing Of The Guard Help Investment?